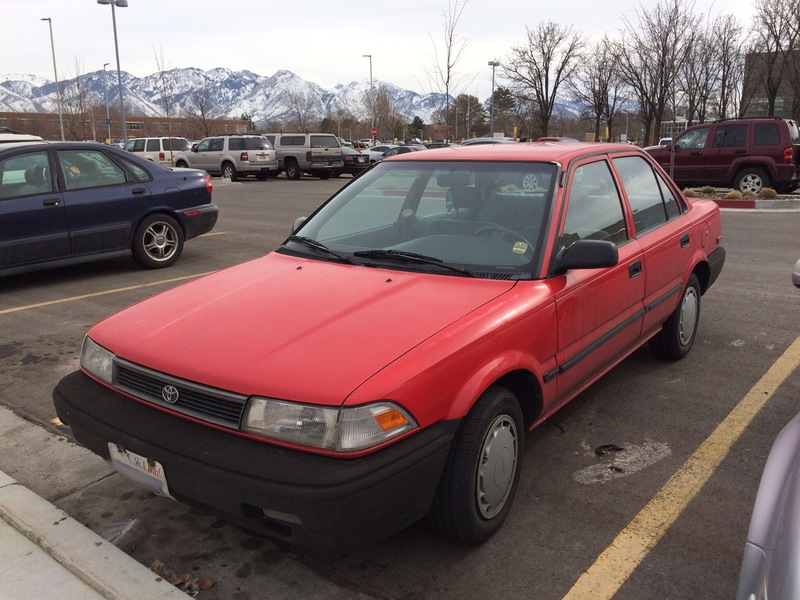 This generation of Corolla was produced from the 1988 to 1992 model years, but the ellipse Toyota logo on the grill indicates that this one is either a 1991 or 1992 model. Earlier E90 Corollas had a Helvetica Toyota emblem. 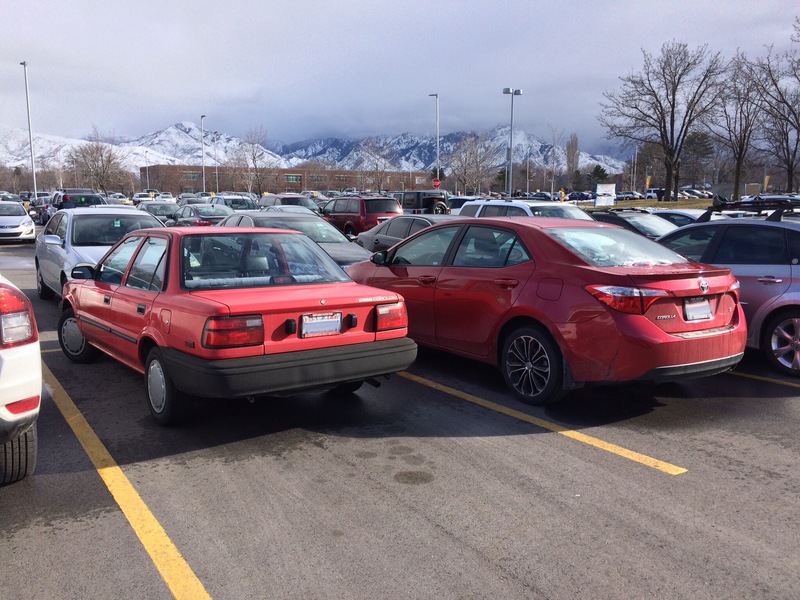 Seen here on another day parked next to a current generation 2014-16 model Corolla (E170, eleventh generation). Given the choice, I’d take the E90, wouldn’t you?